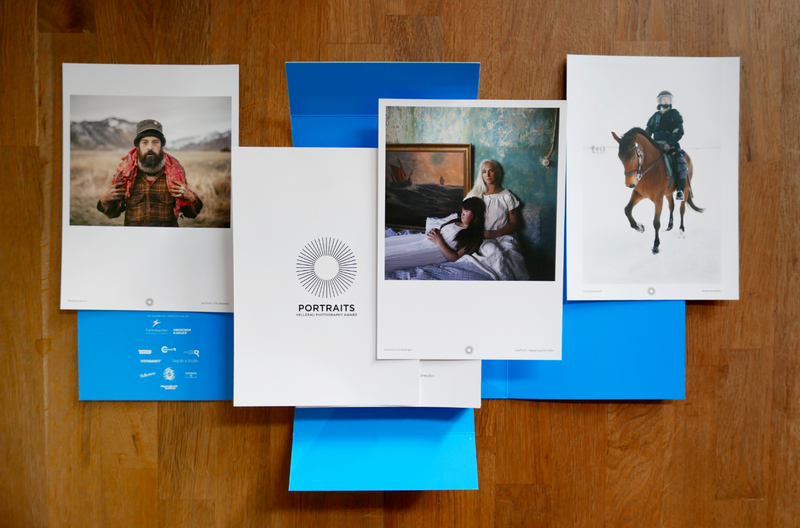 The annual catalogues of the PORTRAITS – HELLERAU PHOTOGRAPHY AWARD are published by Kunstagentur Dresden. In March 2019, the new catalogue has been published as an A5 portfolio with about 100 pages featuring Menno Aden · Aram Balakjian · Ute Behrend · Karina Bikbulatova · Lucia Bláhová · Nadine Blanke · Francesca Cesari · Christine Fenzl · Pierre-Louis Ferrer · Martha Frieda Friedel · Mary Gelman · Marcus Glahn · Jörg Gläscher · Manaf Halbouni · Rafael Heygster · Kurt Hörbst · Sandra Hoyn · Khashayar Javanmardi · Robert Klebenow · Lena Kunz · Jocelyn Lee · Kai Löffelbein · Laura Pannack · Rebecca Rütten · Joshua Sarinana · Anne Schönharting · Daniel Seiffert · Hashem Shakeri · Peggy Stahnke · Sara Swaty · Mirja Maria Thiel · Snezhana von Büdingen · Lara Wilde · Hyeri Yang. You can order all annual catalogues using the following order form. Shipping is free worldwide. Please tick which catalogue you would like to order. When submitting the form, you will be redirected to Paypal. ** You will be redirected to PayPal after completing the participation process to complete your purchase. If you are already a PayPal customer, you can log in there with your user data and confirm the payment. If you are new to PayPal, you can also log in as a guest or open a PayPal account and then confirm the payment.